6.53pm, December 9th 1960, Granada Studios, Manchester. With minutes to go until the live transmission of episode one, creator Tony Warren is being sick in the toilets, actress Pat Phoenix is missing and so is the cat from the opening shot. This is the epic story of one man's struggle to make a programme that no-one wanted. Granada's formidable bosses Sidney Bernstein and his brother Cecil are not enthusiastic, but together with producer Harry Elton and director Derek Bennett, Tony takes up the battle. He wants cobbles, a pub, seven houses and a shop, but above all he wants Northern actors. 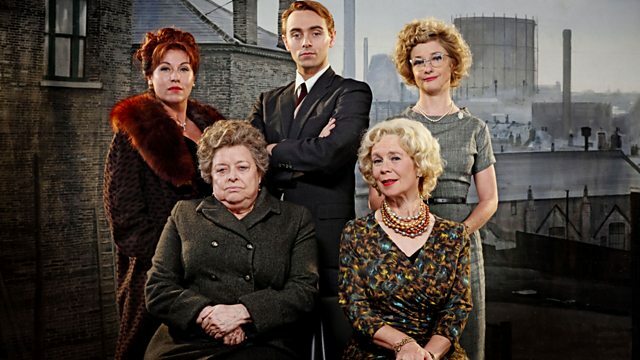 Led by casting director Margaret Morris and her young assistant Josie Scott, the hunt begins for the legendary cast - Doris Speed, Pat Phoenix, Violet Carson and William Roache. With a last-minute change of title, Coronation Street is born.